You've gone through the legalities of forming and licensing your retail business and you are now taxed with the responsibility of finding good quality inventory at the best price possible. According to a study conducted by First Research, there are currently 330,000 wholesale distributors registered in the U.S. alone. It is important to know exactly what you're buying and whom you're buying from. The wholesale industry is multifaceted and highly complex. Wholesalers deliver goods to retailers through various distribution channels and supply chains. Atop the supply chain is the manufacturer (exclusive distributor). The manufacturer sells product in bulk to the wholesaler (also known as brokers, jobbers, or regional distributor) and the wholesaler in turn warehouses the product and sells directly to businesses. Most high-volume wholesale distributors are more apt to work with businesses that can engage in economically favorable transactions. The more inventory you can purchase, the more willing they are to sell to you. Challenges arise for the new small retail business owner, as their sales volume isn't yet high enough for larger distributors to justify working with them. You may have to start with smaller wholesale companies, which oftentimes means smaller profit margins. However, as your sales increase, you'll build enough capital, which will provide you with the power to negotiate lower rates. 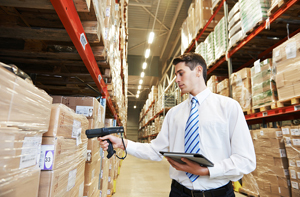 Though this may seem like a challenging task, there are a number of ways to connect with wholesale distributors; you simply have to know where to look. Wholesalers attend trade shows for this very reason-to find and network with potential buyers. The smaller, independent wholesalers are generally located in the smaller booths, while bigger, more established wholesalers are located in the larger, more extravagant booths. Though we do not encourage discrimination, knowing where to look can help you save time and increase leads. Alas, you've probably already done this as that's the very reason you're reading this article. However, as indicated before, knowing WHERE to look is key. You've probably already visited a few of the sites that promise you thousands of wholesalers who are eager to begin working with you in exchange for a fee. Beware of these sites and be mindful of the saying, "you get what you pay for". They'll have fancy websites complete with videos claiming you've found a goldmine-that you're moments away from getting rich, quick. Prior to viewing the inventory on this newfound goldmine of a website, they require that you "sign up" for their service. These sites generally sell low quality products at a higher price, causing quite a dent in your profit margins (and reputation). If you're interested in saving money on a "membership" fee, give the Trade Show News Network a search. You'll have instant access to hundreds of trade shows across the entire world, and if you dig deep enough, you'll find wholesalers who are registered to exhibit at the shows (often times you'll be provided with detailed contact information). Brand manufacturers do not generally sell wholesale; however, they will sometimes advise as to who their main distributors are and whether or not they will sell to a small business. Once you've found a supplier, it is your responsibility to inquire about volume discounts, minimum order requirements, return policies, MAP pricing, order processing time and shipping dates. Be sure to add these terms to the agreement and consider having an attorney review the document prior to signing.